To use the Library you need to have your student card. 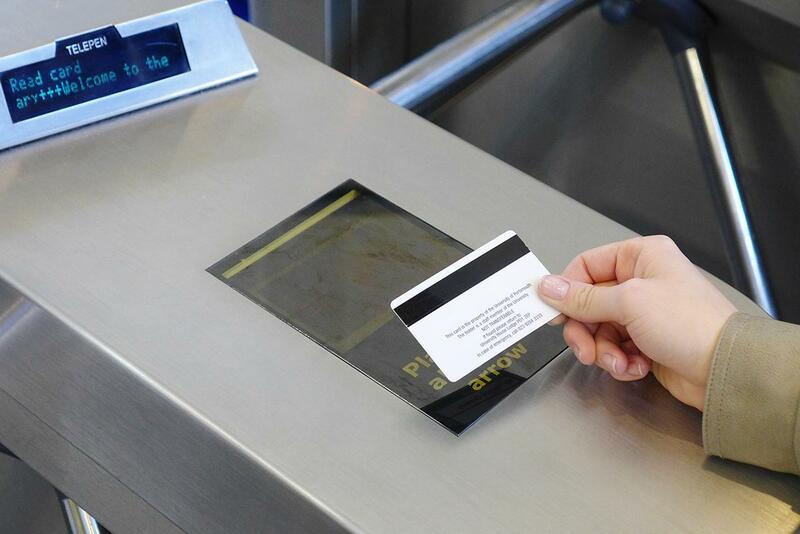 Once you’ve got your student card, you use it to get access to the library building through our turnstiles. It is also needed for a number of library services including borrowing items and booking group study rooms. Please do not share your student card with anyone else. We check who is coming in and out so that you feel safe in the library, particularly during our 24/7 opening. Items borrowed on your card and any fines on their late return are your responsibility. As part of your initial University registration process you will be asked to apply for your Student card. You can only apply once: please make sure you have a suitable, passport style JPG photo to upload. If your card has been lost or stolen you must contact Information Services immediately. You can order a replacement card if necessary.